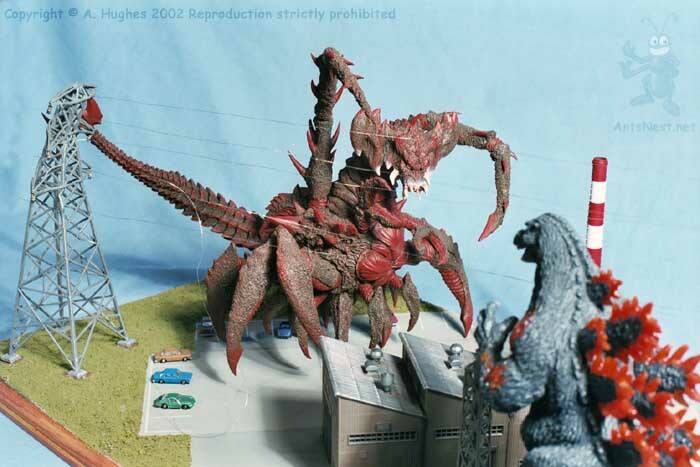 Notes This diorama features the Kaiyodo 1995 Godzilla and Destoroyah. The factory building is from Green Max in Japan, and the pylons are from Hornby in the UK - both model railway accessories, although actually different scales. The factory doubles as a battery housing for Godzilla's internal illumination system.